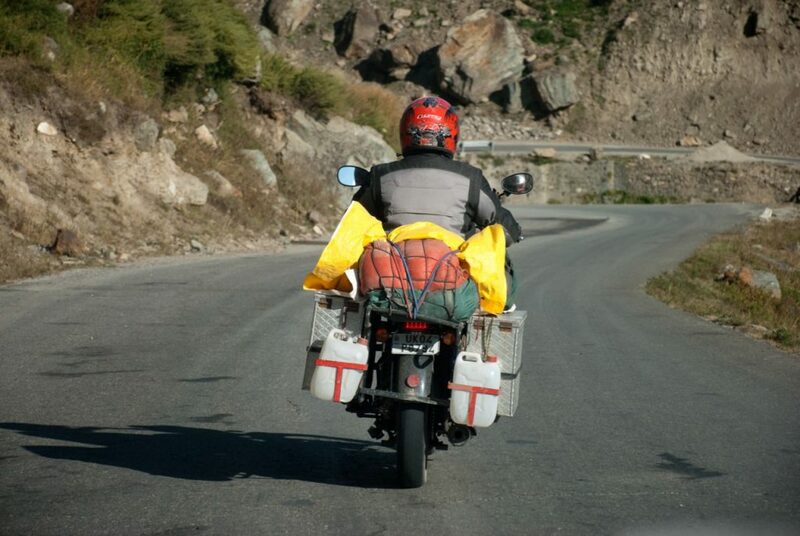 You are at:Home»India»Ladakh, Zanskar & Kashmir»How to Rent Oxygen Cylinders in Leh Ladakh? One of the most common questions that I get nowadays is “Can I find Oxygen Cylinders in Leh Ladakh?“. And why not, as we all know that Leh Ladakh is situated at a high altitude with rarified oxygen levels. Well, mostly, I tend to provide them with a long answer by going into the specifics of the acclimatization and its importance. However, in today’s article, I will talk about this topic in detail so that you also have references for renting Oxygen Cylinders in Leh Ladakh. I will also share some tips on how and why you should rent or carry Oxygen Cylinders on your Leh Ladakh trip. Why should you carry or rent Oxygen Cylinders in Leh Ladakh? Is it necessary to carry oxygen cylinder to Leh? Where to get Oxygen Cylinders in Leh Ladakh? Thousands of people visit Leh – Ladakh every year to witness the magnanimous beauty of its barren landscapes. In the last few years particularly, there has been a major boom in the domestic tourist footsteps in Ladakh region. 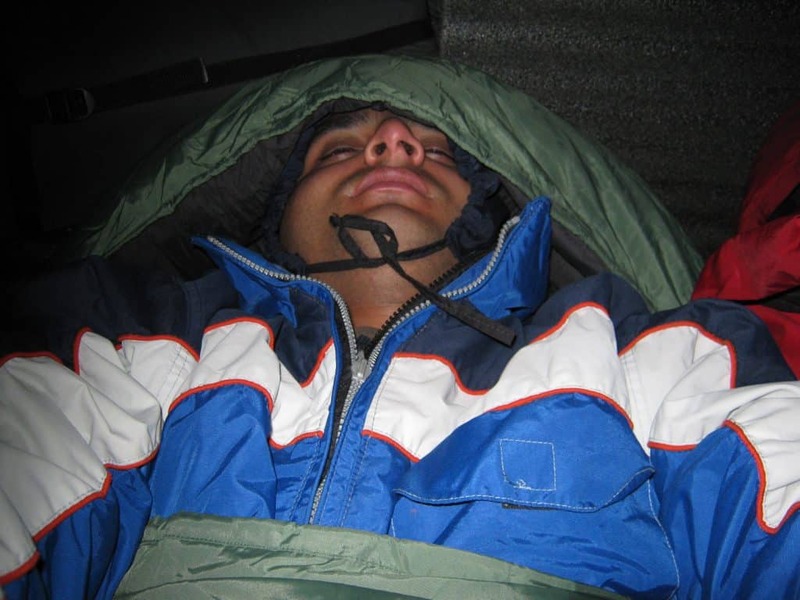 As Ladakh is located at high altitude, your body needs proper acclimatization to breathe/sleep/feel properly and being normal at the high altitude. However, with domestic tourists, the major challenge is the lack of leaves or holidays and so they tend to rush through their Leh Ladakh trips. Hence, the majority of people who fall sick due to AMS in Ladakh are domestic tourists who are rushing from one place to another. I have already talked about it in detail as one of the common 9 mistakes people commit on their trip to Ladakh. You must be wondering if you need to carry an oxygen cylinder on your Leh Ladakh trip or not. Will you run into any kind of problems in Ladakh? Well, to make your decision easy, I will write about situations or reasons I think carrying an oxygen cylinder on a Leh Ladakh trip may prove worthy, helpful and at time life-saving. Planning to rent Rent Oxygen Cylinders in Leh Ladakh? The issue with children is that they tend to exert the body considering it the same kind of place they belong to and this elevates the chances of getting struck with AMS. Secondly, they are not much expressive about their uneasy feelings, so it is parents who need to watch out and take care that the child is not suffering from uneasy feelings, headache or nausea and is behaving properly. Hence, having a portable oxygen cylinder in Ladakh may help you out in buying some more time before descending to lower altitude. Are you planning a trip to Leh Ladakh with kids or infants? I will suggest reading my article on Tips for traveling with Kids to Leh Ladakh. If you are traveling with people having some medical conditions like asthma, hypertension, blood pressure etc.. carrying an oxygen cylinder is no longer a luxury I believe. You must carry it with you just for any unfortunate situation you might need it for those folks. It is a necessity in such situations. Hence, make sure you carry a portable oxygen cylinder on Leh Ladakh trip when traveling with such folks. Some people recommend certain medicines for Ladakh trip which I will strongly suggest that you consult your doctor first before taking any medicines. Some of those medicines are known for allergic reactions. Hence, do not take any medicine just because some travel blogger or website recommends it. Consult your doctor always. When you travel with a large group, it is very difficult to maintain a decorum with a different mindset of people. Hence, the probability of someone getting hit with AMS becomes high. Many people in general, especially domestic one, toss up the guidelines for acclimatization and AMS. Some of them, in excitement, will be ready to open up a bottle for a toast as soon as they land up in Leh. Carrying a portable oxygen cylinder for Ladakh trip will certainly help you with such folks when they get hit with AMS. Also, with a large group, when you divide the rent of oxygen cylinder among everyone, it ends up being very trivial against the benefits and peace of mind it offers on your entire trip. Did you know about the essential tips for carrying clothes to Leh – Ladakh? Ladakh altitude is classified to be high to very high including the places like Khardung La, Pangong Lake, and Tso Moriri lake. 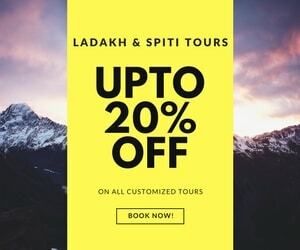 Having a rushed travel plan will never help your body acclimatize and chances of getting hit with AMS are highest if you try to squeeze too much in too little time on your Ladakh trip. Flying directly to Leh will never help you with AMS as you end up being at a very high altitude of Leh in no little time. 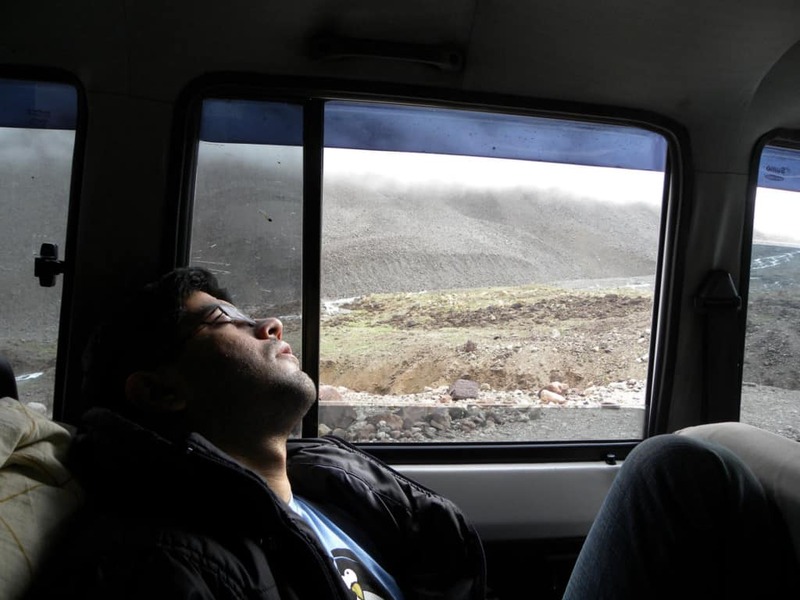 The general guideline is you take at least 36-48 hrs of rest in Leh before moving to other places in Ladakh. Some people also ask about carrying oxygen can for Ladakh trip in flights but I will answer about it in the FAQ section of this article. I am sure you must have already read about the 5 Reasons to choose Srinagar – Leh Road over Manali – Leh Road. As mentioned in that article, it is best to avoid the trip starting from Manali because your body never can acclimatize to the high altitude of Manali Leh Highway which runs over an average altitude of 14000 feet. Any mechanical failure in the middle of high altitude region that makes you stuck there for a prolonged period of time may result in catastrophic results. Having a portable oxygen cylinder helps you buy time to descend to a lower altitude in such a case on Manali Leh Highway and may result in saving a life. As the demand for oxygen cylinders have increased in Leh Ladakh, so as the supply and availability of it. You will find at many places in Leh main market or Changspa road, various oxygen bars have mushroomed. Some of these oxygen bars in Leh are also available in the restaurants or dine-ins at Changspa road or main market. The limitation of these oxygen bars is that they are only available in Leh main market but what about if you are going to Pangong Tso lake or Tso Moriri lake or other remote parts of Leh – Ladakh. The answer is that you rent Oxygen Cylinders in Leh Ladakh or New Delhi and carry them with you for the whole trip. These portable oxygen cylinders that you rent in Leh or New Delhi are big enough to last for several hours and that’s the whole point. Small oxygen cans do not provide any support and can mentally psych you up only. Hence, you need these medium sized yet portable oxygen cylinders to restore your dropped oxygen levels back to safety in Ladakh. You can get in touch with Ladakh Oxygen shop (+91-9906991393) in Leh main market or Chamba (+91-9596979829 / +91-9906999808) or Gaurav (+91-9716507246, +91-8447530163) can also help you with the Oxygen services. The prices of Oxygen Cylinders in Leh Ladakh for rent are a bit steep and hence, if possible you should carry it on rent from cities like Delhi. In general, the oxygen Cylinders are available for rent only. What I mean is that they ask you to deposit money for cylinder as security and fill the oxygen and charge only for the fill. You can go back for any number of refills and you pay for oxygen you refill. Once you are done with it, you can return the cylinders and get back the security amount. They might charge some service charges, which in general, are nominal enough. You may get in touch with Asian Surgical Corporation at Netaji Subhash Marg, Dariya Ganj, New Delhi, Delhi 110002, Phone: +91 11 2324 7096. But, you can buy an inexpensive pulse oximeter online easily from sites like Flipkart or Amazon India. I have this Dr Morepen Pulse Oximeter with me. WARNING: PLEASE NOTE carrying oxygen cylinder and taking it can only help you buy some time in a dire circumstance. It is NO CURE for AMS. DO NOT treat it as a cure for AMS and respect the rules of acclimatization. In case you are hit with AMS, please plan a descend immediately to a lower altitude place. Oxygen cylinder will just be there to buy time in the need of an hour. Are Oxygen cans allowed to carry in luggage by airlines for Ladakh trip? What is the best portable Oxygen cylinder for Leh Ladakh Tour? The medium sized oxygen cylinders that lasts for couple of hrs will be the best to be carried on your Leh Ladakh trip. You should ask for a demo on how to use it so that when time comes, you know how to operate the equipment and provide oxygen to the person in need on your Ladakh trip. I hope the above article will guide you for carrying or renting Oxygen Cylinders in Leh Ladakh and make it a memorable trip. 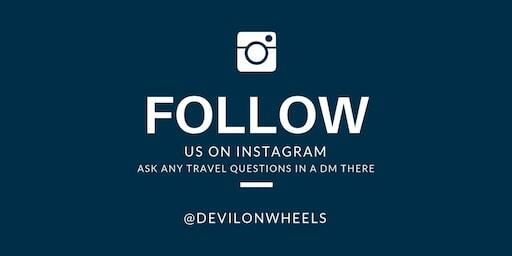 I will be here to answer any further questions you may have for your upcoming Leh – Ladakh trip. Do share this article with your friends or family whom you think might be in need of Oxygen Cylinders in Leh Ladakh on their upcoming trip. Hello DOW Team, Thank you for all the valuable information you guys sharing with us. Coming to the Oxygen cylinder, can you suggest where to buy it in Delhi? Main query is will the airline allow me to carry an oxygen cylinder along with me in the plane? Oxygen cylinder may not be allowed in airlines. That option is only available for people self driving and I have mentioned the reference as well for a shop in Delhi. Very true Sandeep bhai ! !